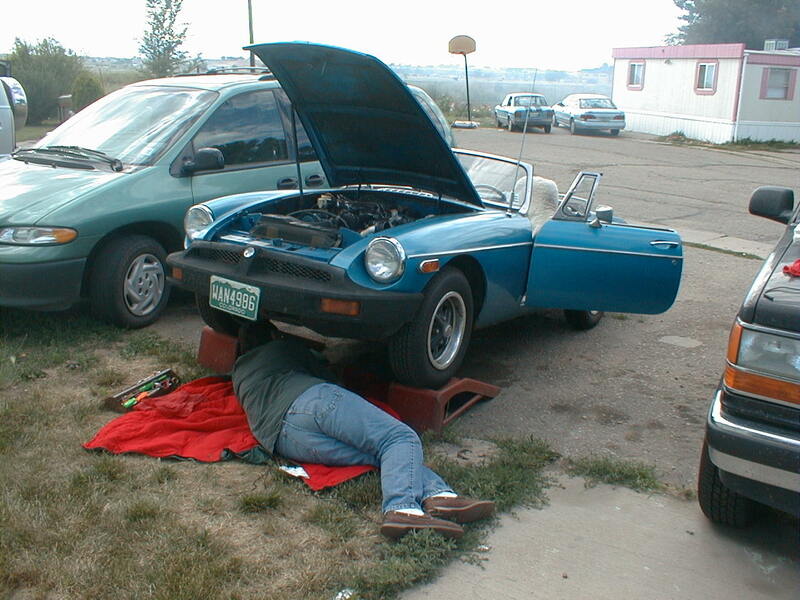 This site is about documenting the restoration of my 1977 MGB Roadster. I've already gone through the engine and tossed the Zenith-Stromberg, replacing it with proper SU's and a lot of new parts under the hood. I also got the brakes, emissions, fuel and exhaust systems in good shape. Now I'm going after the exterior. It had a crappy paint job and the rocker panels and dog legs were pretty rusted out. The pictures I've posted are various visits to the body shop showing how they gutted it, poked holes in it, welded in new panels, grinded it down and performed their magic.